Characters are listed by surname where known. If a character has only one name, he/she will be listed under that. For the purposes of this category, spirits are classified as either "deceased" or "destroyed" (except in a few unique cases). 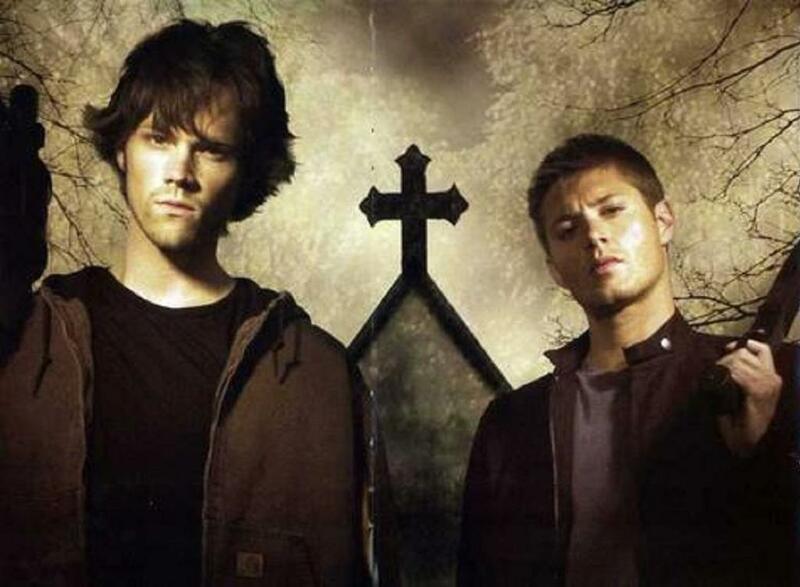 A destroyed spirit is one whose bones have been burned or has otherwise been physically destroyed by the Winchesters. Deceased spirit are those who have simply moved on and are now at rest. Before her death, Claire was arrested twice for dealing heroin. She had an arrangement with Pete Sheridan, a corrupt cop who turned on her and killed her. After her death, she served as a death omen to those that Pete was trying to kill. Once he was shot by his partner, Claire's spirit was finally laid to rest. Bloody Mary was once Mary Worthington who was murdered, her eyes cut out with a knife. In revenge, she haunts an old mirror, killing people who hide secrets about unsolved deaths. She was destroyed by Dean and Sam when they shattered her mirror. A very wealthy young man, Cyrus dated Cassie's mother, until she dumped him for another man. Running men down in his truck, he killed several black men in town until he tried to kill Martin Robinson. His attack backfired and Cyrus was killed, his body and his truck dumped in the swamp. It wasn't until the demolition of his old house that his spirit awoke and returned to his killing spree. He was linked to his truck, which also returned in ghost form. His body was finally laid to rest when his bones were burned. A psychiatric doctor, Ellicott was in charge of the Roosevelt Asylum. He had a theory that by allowing his patients to experience extreme anger, it would let them expel the anger from themselves. This practice backfired on him when the patients began rebelling and rioting. Ellicott was eventually killed by the patients he had experimented on, but his spirit remained in the asylum. Even after his death, he continued to cause extreme anger among anyone entering the asylum, until Dean managed to salt and burn his bones. When she was 8 years old, Callie was poisoned with bleach and has been in a coma ever since. Her father read her Grimms Fairy Tales, which led to the increasingly frustrated spirit to lash out using the stories she knew. When she encountered Dean, she left behind a red apple (as in the Snow White story), indicating that her step-mother was the one who poisoned her. Once her father listened and understood what had happened, her spirit could finally move on and her body dropped out of the coma and died peacefully. When Nurse Glockner worked in Green River County Detention Center, there were a lot of unexpcted heart attack deaths. During a riot, someone smashed Nurse Glockner's skull and killed her. Since then, she has been haunting the prison. Her remains were salted and burned just in time, as she was about to kill their friend Deacon. 58 year old Jonah was killed while hunting on February 22nd 1992 when the car driven by Molly McNamara swerved and hit him. Every year, on the anniversary of the accident, his ghost chases hers in punishment. His corpse was salted and burned by Sam. Jonah was married to a woman named Marion. Father Gregory worked at Our Lady Of The Angels Church in Rhode Island when he was shot and killed on the steps of the church. He was buried in the church crypt but came back as a spirit. He believed himself to be an angel and sent people on their "paths" to help him smite the wicked. He was finally given last rites by Father Reynolds and was allowed to rest in peace. H. H. Holmes (real name Herman Webster Mudgett) is credited as being America's first serial killer. He was executed for his crimes in 1896, but his spirit continued killing young women, almost adding Jo Harvelle to that list. Dean, Sam and Jo managed to trap him in a salt circle and fill in the sewer where he is "living" with cement. They may not have destroyd the spirit, but it certainly isn't going anywhere. You can read more about him at Wikipedia. The Hook Man of the legends was actually once a preacher, Jacob Karns, who was executed for the murder of 13 prostitutes. He lost his hand in an accident and had it replaced with a silver hook, which is what he used as a murder weapon, both before and after his death. On February 22nd 1992, Molly and her husband David were in a car accident on Highway 41 in Nevada. Molly was killed in the crash. She returned, on the same date every year, to the same patch of highway, although she was unaware of this. She didn't know that she was dead - each time she believed that this was the date of the original accident. Eventually, she acknowledged the truth and was laid to rest. Melanie was adopted by the Merchant family because her real family was murdered - by Melanie herself. She then killed her adopted family - which her adopted father took the blame for - and her father killed her. Even after death, she continued to kill anyone who was connected with the painting of the Merchant family. As a young boy, Peter was bullied by two boys who were supposed to be his friend, over a red bicycle. When they two boys held his head under the water in the lake, they hadn't intended to kill him, but they had. His spirit decided to take revenge by killing their loved ones. His spirit was eventually put to rest once he had killed both of the boys who killed him. When Maggie was a child, she drowned in the pool at the hotel where her family lived. Trapped there forever, she was kept controlled by her sister, Rose, using hoodoo, until Rose had a stroke. Maggie became friends with Rose's granddaughter, Tyler, and tried to drown her in the hope that the other little girl would remain her playmate. Tyler was saved, but Rose had a second stroke and died. Her spirit is now Maggie's playmate. When Constance was 24 years old, her husband cheated on her. Suffering from what amounted to temporary insanity, she killed her two children in the bathtub. She called 911 and then drove to Centennial Highway and jumped off Sylvania Bridge, killing herself. She was buried behind their old house, but her spirit returned as a Woman in White, until Dean and Sam stopped her. She was forced to return to her old house and face up to the spirits of her children, finally laying her own spirit to rest.